Hi, folks! Ready for a new sketch? I hope this one inspires you to make something really beautiful today! We have a great sample for this sketch! This card was made by Patricia, and she has more fantastic cards you can check out on her blog, Thinking of Inking. Be sure to stop by and leave her a note. Thanks, Patricia, for the adorable sample! 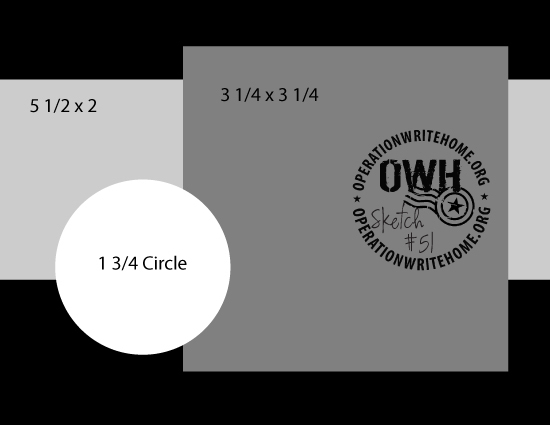 Okay, cardmakers, have you got an idea now? Get to work! Thanks for the sketch. I was surprised that the circle wasn't a sentiment and I love the idea of making it part of the image! Wonderful card sample! I like the flexibility of the sketch too. 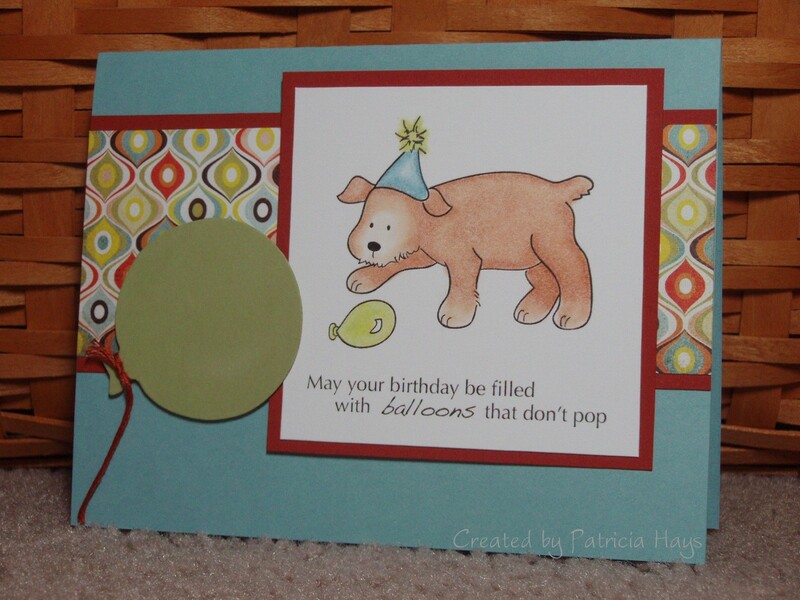 Great sketch and sample card Patricia! Thanks so much! Another really wonderful sketch. More even wonderful samples. Thanks! Connie - you can link to a Picasa photo, a Flickr photo, or most similar online photo gallery services! The DT card is so cute ! Love the coloring on the little puppy. Thanks for a fun sketch Julie, your sample cards are wonderful! I love this sketch and think it makes an easy but nice layout.